There's one common thread to everything that happens in hockey. Every shot, every pass, every face-off, every save: it all happens on skates. Skating, in other words, is where hockey starts. 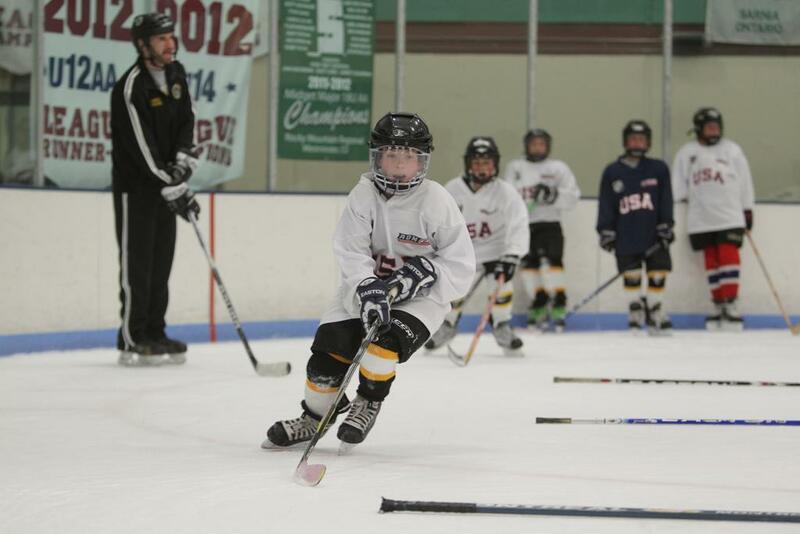 At the beginning of each season, young hockey players often look at different parts of the sport and focus on certain areas they want to improve upon. But when it comes to taking your game to the next level, consistently becoming a better skater is perhaps the most important part of any development path. Chris Nagy, assistant coach at St. Mary's High School in Lynn, Mass., understands this well. Nagy believes skating to be among the most important skills for a successful hockey player. In his more than 10 years coaching, Nagy says he has seen players of all ages become better overall because they dedicated themselves to becoming better skaters. "I've seen it a lot. Plenty of kids come along who have a great hockey head or great hands, but they struggle with their skating," Nagy says. "Improving their skating is like improving any other skill, running drills and working on muscle memory so they're not wasting motion and move well without hesitating." Like passing or shooting, improving skating from year to year takes the same type and level of commitment—focusing on specific parts of moving up and down the ice and repeating the movements. Not everyone is going to fly around the ice like the fastest NHL players. But it's not about being the fastest skater, it’s about becoming the best skater a young man or woman can be. According to Nagy, he's seen many instances where skating, as important as it is, is overlooked by parents. "Sometimes they get a little too focused on stickhandling or shooting," Nagy says. “Sending kids to different camps is great, but working on each part of the game, especially skating, helps kids out the most." Steve McKenna of South Boston agrees. His son, also named Stephen, recently made his NCAA debut at the University of Alabama-Huntsville and he believes a commitment to skating landed his son the opportunity to play college hockey. "We were always at the rink, working on skating," McKenna recalls. "Our practices, especially when he was younger, were mostly about learning to skate and to move with the puck on your stick. It's the basis of the sport. That repetition, stopping and starting, crossing over and moving with the puck is where it all starts." A longtime coach in South Boston, McKenna has seen several young players advance through to higher levels of the game due to a focus on skating. Conversely, he's seen just as many fail to reach their full potential because they neglected their skating skills. "When kids are just starting out, they need to start building those skating skills," McKenna explains. "It's great to develop a great shot or pass well, but it's hard to become the player a kid can truly become if [he or she] isn't a good skater." For any player, it's important to see improvement in every part of the game each season. But maximizing a young player's potential starts with one critical foundation: becoming a truly great skater.